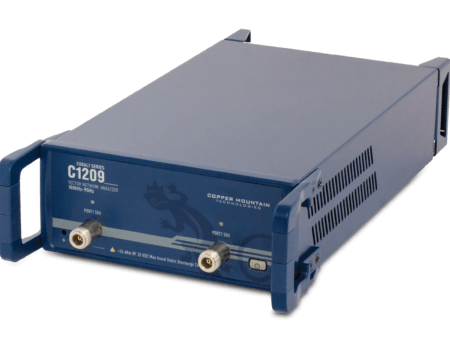 C1209 Vector Network Analyzer delivers industry-leading dynamic range and sweep speed, with all the features engineers have come to expect included standard in our software. This “half rack” vector network analyzer with dimensions of 16.75″ x 9.25″ x 3.8″ (425 x 235 x 96 mm) and a weight of just over 12 lbs. 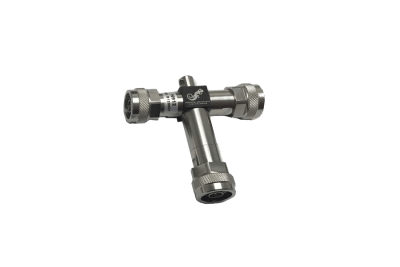 (5.5 kg), can be used in the laboratory and in production testing, without requiring a lot of space. 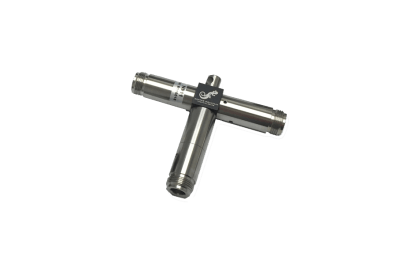 The VNA can be integrated into production test system via Manufacturing Test Plug-in. 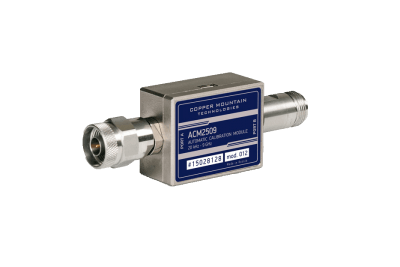 Auxiliary Board Option is available on all Cobalt VNAs at the time of order (factory-installed) or as an add-on at a later date. 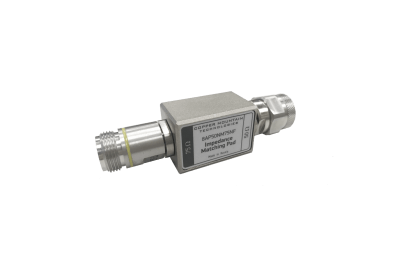 C1209 VNA includes an RF measurement module and S2 software application which runs on a Windows PC, laptop, or tablet, connecting to the measurement hardware via USB interface. S2 software can be installed on multiple computers that share the use of the analyzer measurement module. 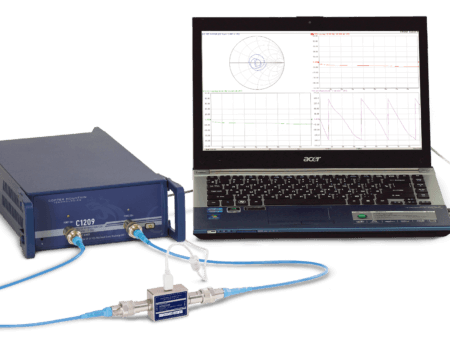 Applications of the C1209 include SAW and BTS filter tuning, RF component design and testing, on-wafer probing, field testing, insertion loss measurement, distance to fault measurements, antenna matching, quality control, material measurements, and many others. 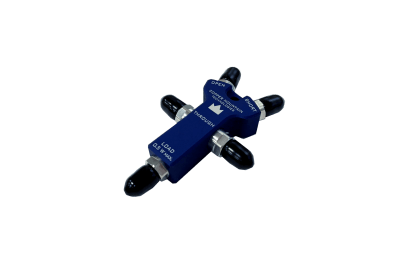 Our 9 GHz VNA comes with all the features engineers have come to expect included standard in our software: linear/logarithmic sweeps with multiple trace formats, power sweeps, time domain and gating conversion, frequency offset mode, fixture simulation (embedding/de-embedding), 16 independent channels with up to 16 traces each, markers with marker search tools and marker math, various conversion algorithms, and limit tests for pass/fail criteria, etc. Test Automation programming in LabView, Python, MATLAB, .NET, etc.